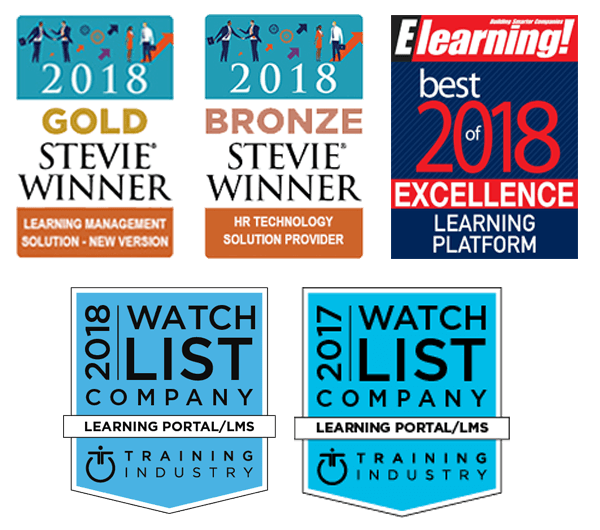 Try our award-winning learning management system and see why Thinkzoom is the right platform for your training program. What does training matter without measurement and results? With our Thinkzoom LMS, not only can you see which videos your employees are watching, but you can observe how well they comprehend the material with our built-in interactive exams. You can set score requirements and even provide additional student materials so they can put their knowledge to practice. 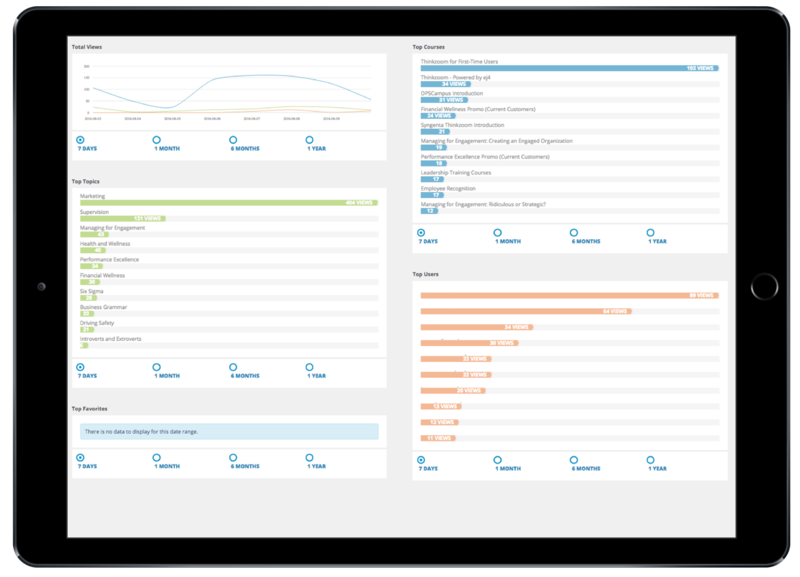 Our learning management system also has a comprehensive reporting feature that allows you to create custom reports based on users, groups, courses and topics. Understanding which courses are popular and which are lacking participation can help you measure your training progress and communicate future training goals. Our Thinkzoom LMS helps you create video content that’s specific to you and your business. Whether you’re recording an introduction or completing an entire video, Thinkzoom puts the control in your hands. Our eLearning authoring tool is included at no extra charge. Record with or without the webcam, edit the audio, add in transitions, effects and much more! No longer will employees lean back in their chairs, yawn, or spend long hours alone during training because our learning management system is bringing learning back to life. Users can feel a part of an online training community thanks to The Quad, a social learning technology feature on our Thinkzoom LMS campus. Learners create their own informal network of peers to see what courses others are watching, what badges and achievements they’ve earned, and much more. The Quad creates a fun, competitive learning environment that boosts engagement among learners and increases the value of your training program. What’s the value of great training content if it doesn’t stick? 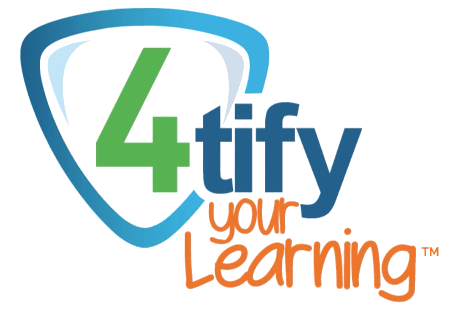 4tify your Learning™, available exclusively on our Thinkzoom LMS, provides learners with the tools they need to transfer knowledge from short-term memory to long-term memory. With a series of prompted exam questions and a video recap, 4tify keeps training top-of-mind long after a training session is over. This way, when learners need the skills they’ve learned on the job, the information will be easy to recall and apply. Administrators have access to a number of tools for sharing company-specific content. You can seamlessly incorporate your own training data and internal training packages into our learning management system. We store your data in an industry-standard Learning Record Store (LRS). Learners can personalize their learning experience by enrolling in one of our competency-based learning tracks. Employees can choose content of personal interest beyond their required courses to help them be more successful at work. They are based on 36 of the Lominger Competencies and are measurable via Thinkzoom. 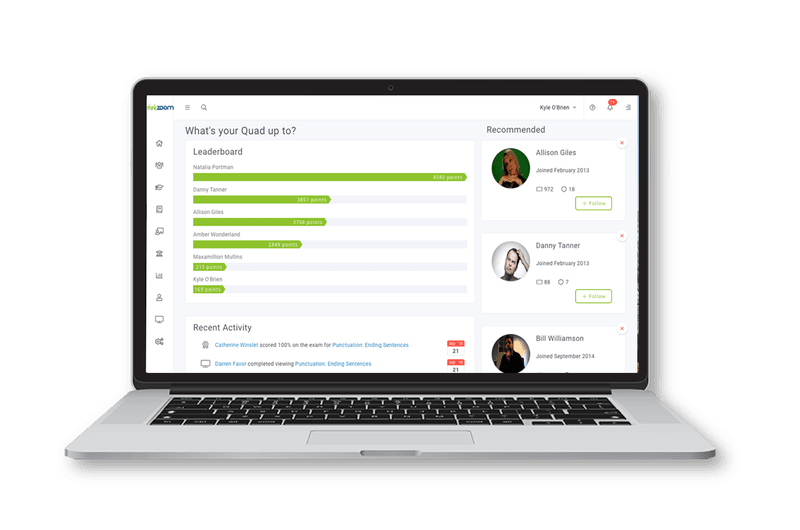 Our Thinkzoom LMS supports your blended-learning environment with our classroom management feature. Whether your training is instructor-led via a webinar or in a classroom, you can create courses and sessions and track attendance. You can auto-enroll users or they can self-enroll. You can assign our off-the-shelf courses as pre-work and access our full library of student materials via the course builder. 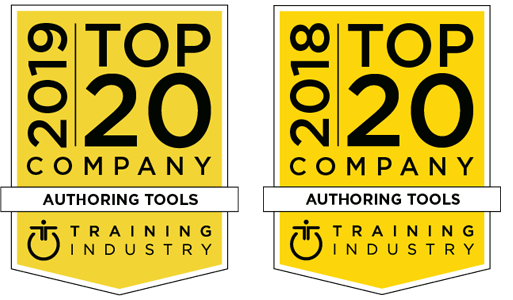 From top to bottom, Thinkzoom has been recognized as a top learning management system. These are just some of our most recent accolades. Read our blog post on what important features you should check off when purchasing an LMS for your training program.